With Ireland being one of the most open and internationalised economies in the world, we are strongly committed to enhancing our graduates’ operational knowledge, cultural understanding and direct experience of the international business environment. We are proud to be innovators in developing fully accredited International Study modules across Europe and the United States - putting our students at the heart of economic and political decision-making institutions and in the boardrooms of multinationals operating across the globe. From Brussels to Boston to Brest, our students engage with our extensive network of senior academics and business representatives, experiencing at first hand the challenges and opportunities of seeking out new markets, developing international strategies and making new friends and future contacts. By joining with us, our students - from Ireland and from across all continents of the world – have the opportunity to see theory in practice and, importantly, put to use their strategic and presentational skills in international, competitive and time-sensitive environments. The International Study Programme complements WIT’s international network of elite relationships, whilst also positioning our graduates to take advantage of the internationalised dimension of Irish business and entrepreneurial opportunities. Brussels: heart of the Single Market and crucial to Ireland’s business and economic framework. For our suite of MBS prgrammes, we bring our graduates to the centre of decision-making in the European Union – directly into the corridors of power within the European Commission, European Parliament and Council of Ministers. We want our graduates to not just accept their business environment, but to have the tools and experience to shape it to their – and their companies’ - advantage through getting to know the reality of the system and who to influence. 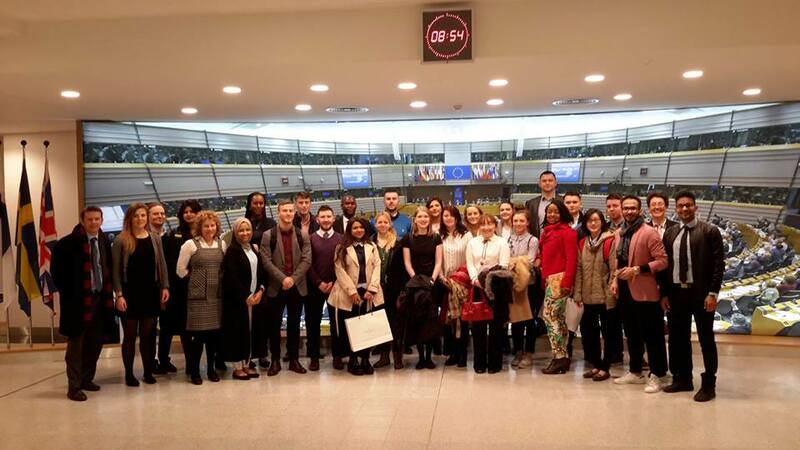 Students are brought into the ‘Brussels Beltway’ to learn from Irish and European political and business representatives to hear case studies of how to influence the international business environment. The study programme was launched in 2008 and has seen more than 500 masters-level students participate since then. Over that period, the students have met with each successive European Commissioner from Ireland (Charlie McCreevey, Maire Geoghegan-Quinn and Phil Hogan), eight Members of the European Parliament (Sean Kelly, Liadh Ni Riada, Deirdre Clune, Prionsias De Rossa, Colm Burke, Nessa Childers, Matt Carthy and Alan Kelly), three Irish Ambassadors (Bobby MacDonagh, Rory Montgomery, and Eamonn Mac Aodha) and various officials from the Commission, Council and Parliament. 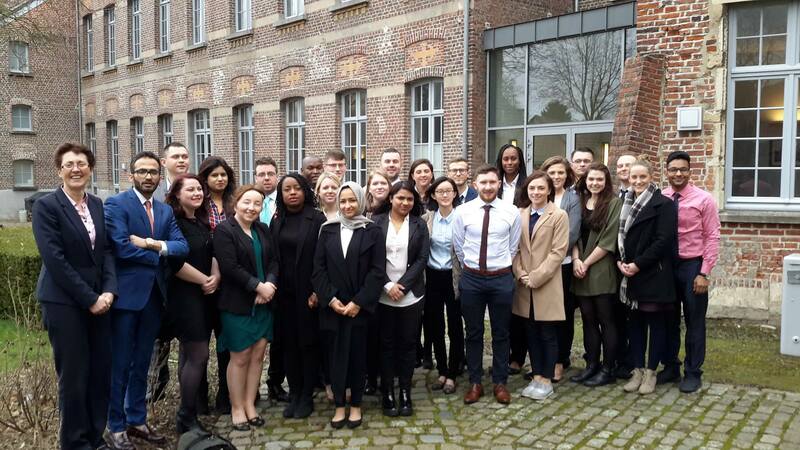 Staying in the stunning student environs of the historic Leuven Institute for Ireland in Europe, our learners directly engage with senior academics from the world-ranked Katholieke University of Leuven as well senior managers with multinational corporations for comprehensive site visits. The Belgian Programme is a fully-accredited module where students engage in a week long professional and cultural experience, requiring them to research and present within the multicultural context of an international setting. Hearing from high calibre academics and European and Irish policymakers and business representatives makes this programme a highly interactive, challenging – and fun – week of learning and international experience, setting the graduates up for careers with new and broader horizons. As part of the 'International Management' module of the Executive MBA programmme, students visit Boston for one week - this trip takes place in September of year two of the programme. This trip was introduced in 2003 and has become a real highlight of the WIT MBA. The trip broadly consists of two academic days (with sessions facilitated by Suffolk University and Babson College) along with another two days of company visits (these have included companies such as the World Bank, Boston Parliment, State Street, Sun Life, Genzyme, and De Puy Orthapaedics). Introduction and review meetings are held in Boston and the module is assessed via a reflective essay which is completed at the end of the week's activities. The Master of Business in Internationalisation (MBSI) - incorporates a Double Degree programme - between WIT and Brest Business School France. Under this joint Consortium Agreement, MBSI graduates at WIT Waterford (on successful completion of the MBSI programme) are awarded a Double Degree – The MBSI degree at WIT and the MIB degree at Brest Business School, France. Under this structure, students registered on the MBSI at WIT study three common modules with students on the Master of International Business (MIB) programme at Brest Business School. Two of the shared modules are delivered directly to the combined student cohorts – one module in France and one module in Waterford. A third shared module is delivered via video link. MBSI students are required to travel to Brest Business School, France to participate in one of these common modules. 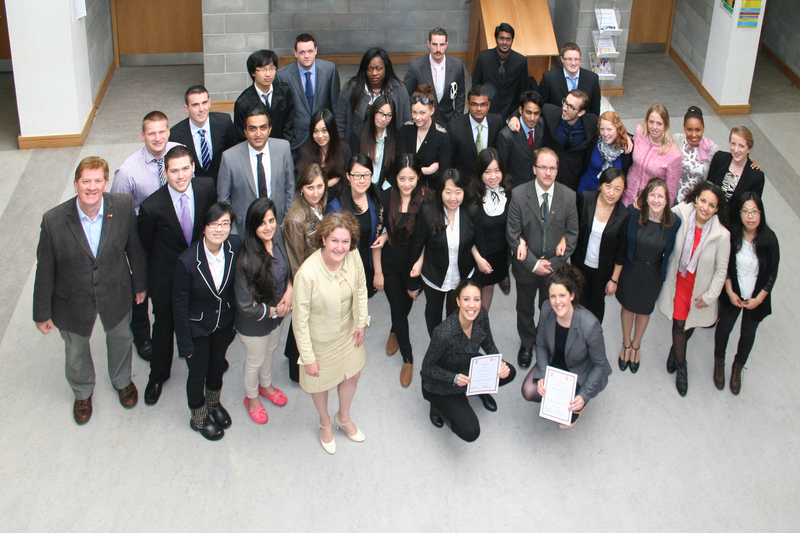 The Brest Business School students travel to WIT in Ireland in May as part of their studies for the Double Degree to participate in the third common module. This intense learning methodology provides significant benefits for the MBSI student cohort. It provides enhanced learning opportunities for students and exposes them to alternate teaching and learning environments. Students are also given the opportunity to work closely with their own class-mates - students from Brest Business School – and lecturing staff from WIT and Brest Business School. During the study trip, MBSI students are also afforded the opportunity to attend cultural and business events in the Bretagne area and to develop networking opportunities into the future. On completion of the study trip, MBSI students are asked to write a reflective essay on their learning experiences from the visit to France – and from the return visit by Brest Business School students to WIT in May. This paper is completed at the end of semester 2 – and counts as a formal 5 Credit Module on the MBSI programme. 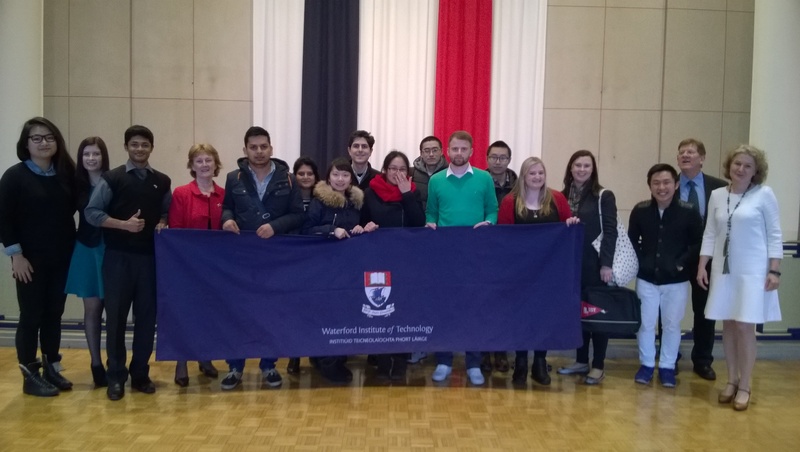 WIT MBSI students with Brest Business School, students from Brest, France – Joint Module Study Trip session – WIT Waterford.